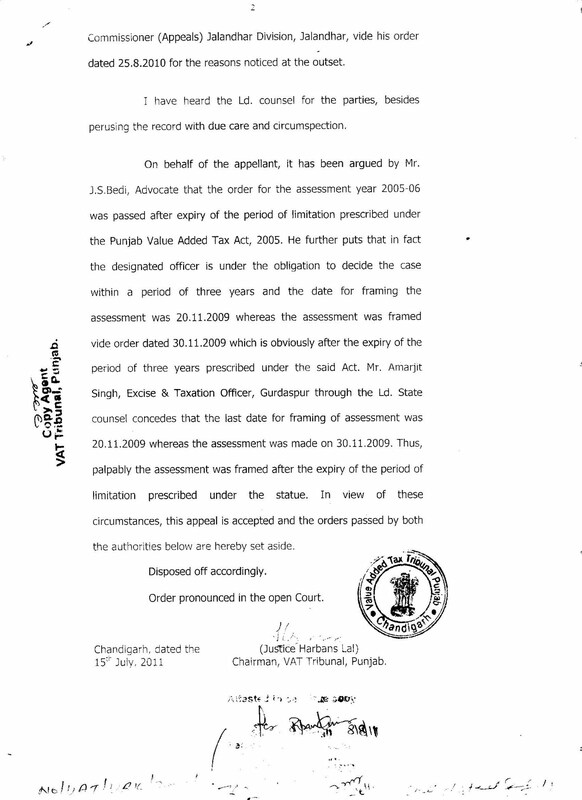 In this case the first appeal was dismissed By DETC(Appeals) for non-deposit of 25% pre-deposit u/s 62(5). 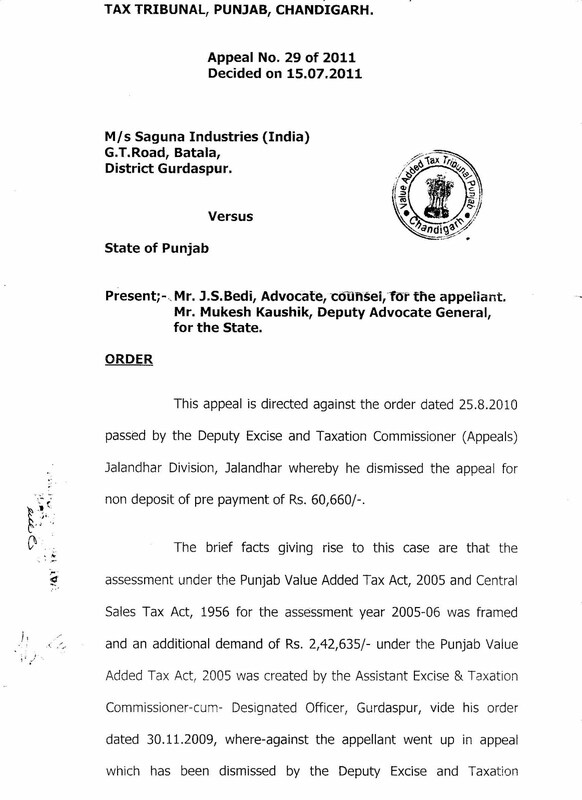 However the Tribunal without asking the appellant to deposit 25% of pre-deposit decided the case on merits and accepted the appeal holding that the assessment of year 2005-06 is time barred hence the orders of both the authiorities below are set aside. 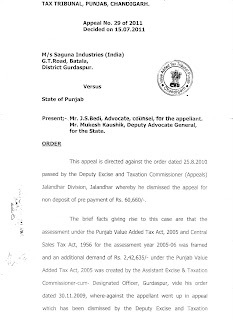 The implications of this order are that in time barred assessments there is no need for pre-deposit of 25% u/s 62(5) of Punjab VAT Act, 2005.